Home Lifestyle YouTube London – Behind the Scenes! 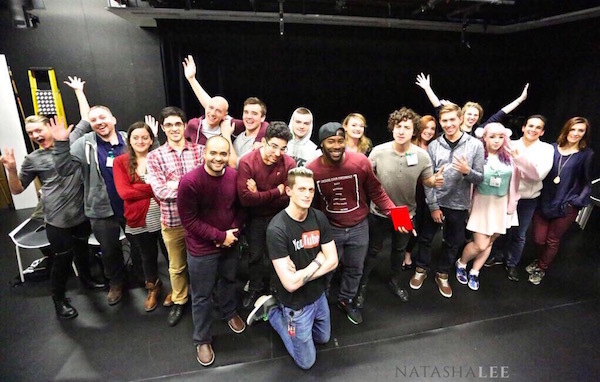 I’ve been working closely with the YouTube Space peeps at YouTube London for a number of months as you may have seen from my Facebook page. 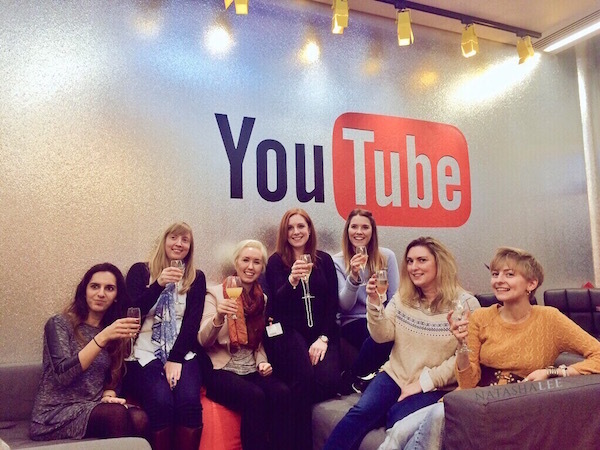 I’ve been very blessed to have been chosen as one of the top 18 up-and-coming YouTubers in the UK, and offered an exclusive 6 month mentoring programme, so YouTube Space London is currently feeling like my second home! I’ve been asked a number of times what it’s really like at Google & YouTube in London, and whether or not it’s really like the movie The Internship 😀 I thought the best way to show you would be a “Behind The Scenes” tour, which I filmed at my last visit to the studios over Christmas. Once you are inside the glass casing, you enter a large, open foyer with lots of slouchy sofas, and a reception desk stretched elegantly along the back wall. All the receptionists are beautiful and wearing the same style of dress that reminds me of an elegant Star Trek Costume! With your security pass gripped in your clammy palm, it’s through the security barriers which are 2 panes of curved glass that open like the parting of the Red Sea, and beckon you forth to the space-aged (and slightly confusing) lifts. Google London is far bigger than it looks and houses a vast number of entities, of which YouTube Space London is one of them. Once you’re on the right floor and out of the lifts, YouTube Space London is easy to spot as it has Yellow Submarine doors! After you step though the doors you are into the reception/chill out/kitchen area. 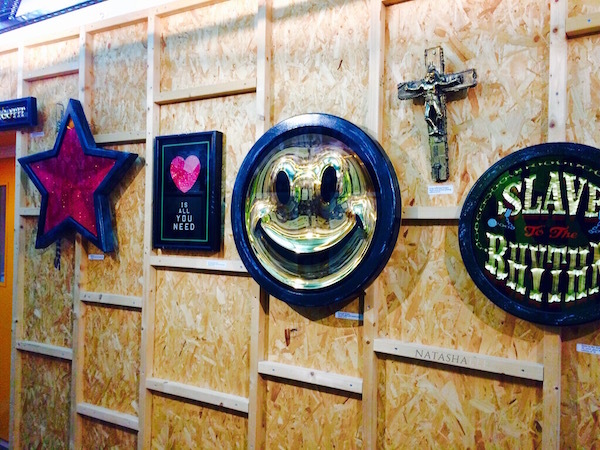 The walls, where not clad with pallet-style wood, are SILVER GLITTER with a big YouTube sign on the wall. Perfect for those Facebook Check-in/Instagram picture moments, and theres an array of sofas and leather chairs to chill out in. 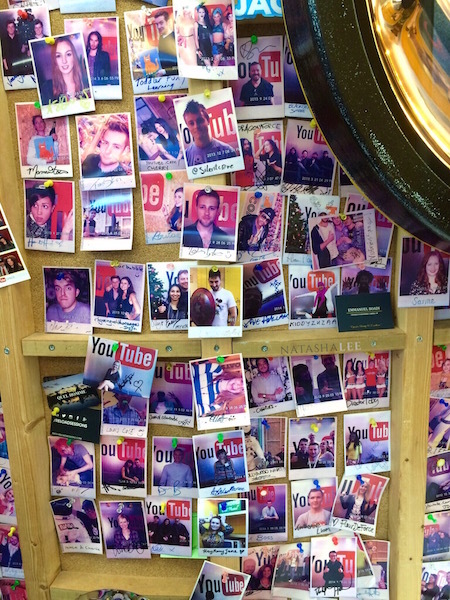 Between the chill out area and the kitchen, is the Wall Of Fame, with signed polaroids of some of the top UK bloggers and YouTubers. I’m looking forward to the day I can get my picture up there ;). The kitchen is my favourite bit as it’s free refreshments (including lattes and smoothies! FREE LATTES! 😉 ) and there’s always a stock of sweeties, biscuits and healthy snacks to munch on during filming breaks! Next to the reception desk is the Green Room. This is used for filming or as a chill out area, with it’s illuminated film-star style mirrors, and large, lazy leather sofas and a coffee table, this is probably my favourite room and I’m filming in here in a couple of weeks. Through the doors to the Restricted access area, are all the studios and editing suites. There is always something happening in this area and don’t be surprised if you bump into someone famous, lots of music videos etc are filmed in the YouTube London. 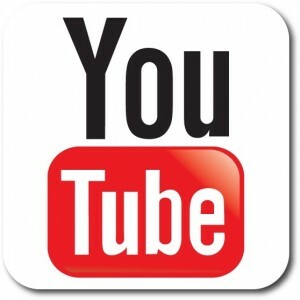 YouTube Space London boasts an amazing video editing suite with top of the range mac’s, PCs and editing software. 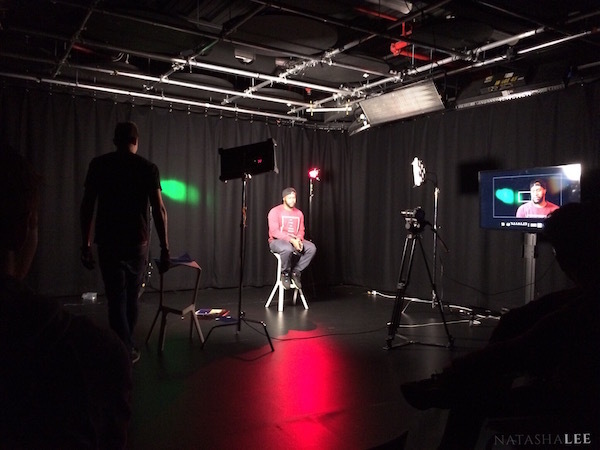 Not only can you film your videos in the studios, using the amazing selection of cameras, lights, mics and equipment, but you can also set up shop in the editing suite or one of the cushioned booths and edit your work ready to upload! The day I filmed my exclusive Behind The Scenes vlog, I was filming in the Studio called Deep Focus with Maggy from Red Ted Art and Ali Clifford from Incredibusy. This is the biggest studio and at certain times of the year, the room is completely dressed with a seasonal set. We were taking the opportunity to film in the amazing Christmas set! This studio is awe-inspiring when you see it, I can’t even begin to tell you all of the equipment that is in there, essentially because I can’t remember the names of them all (yes I know YT Space peeps, slap on the wrist!). Ok, so our Google London HQ isn’t quick like The Internship with a helter skelter slide, but it did blow me away the first time that I visited. YouTube Space London is funky, quirky and every time that you go there you notice some brilliant picture/quote/feature that you didn’t notice last time. 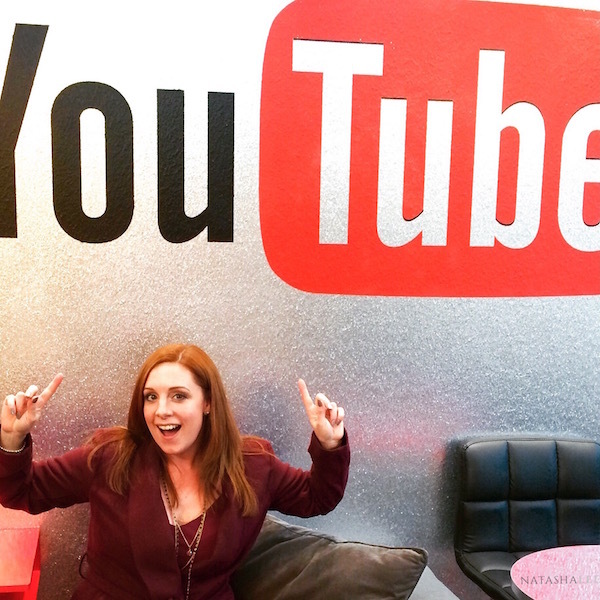 How Can I Film At YouTube Space London? If you want to get behind the scenes yourself and film at The Space in YouTube London, there’s just a couple of requirements. Provided you meet the requirements, then any YouTuber can film there! Firstly, you need a minimum of 5000 subscribers on your qualifying channel. It sounds like a lot but you’d be surprised once you start uploading videos how quickly you can meet (and surpass) that target. Secondly, you must not have any current copyright or Terms of Service strikes on your YouTube Account. You must be at least 18 years old and have attended an “Unlock The Space” orientation. When you’ve done all that you’ll get access to the booking tool. Then you can book into the studios to film whenever you like and using all the lighting, cameras and mics. How amazing is that! What If I Don’t Have 5000 Subscribers?